A new study of 27 North American cities reveals that Vancouver is the greenest city in Canada, and the second overall in North America behind San Fransisco. The study was commissioned by the electrical engineering company Siemens and carried out by the Economist Intelligence Unit. The basis of the study is the U.S. and Canada Green City Index, which rates North American metropolises according to categories such as CO2 emissions, waste management, energy consumption, land use, and environmental governance. Vancouver is the highest-ranked city in terms of air quality, but it lacks transparency in environmental governance which lowered its rating somewhat. When it comes to Canadian cities, the city leads the way in every single category except water conservation and infrastructure. First place in that category went to Calgary instead. Although city councilors in the city are enthusiastic about the news, they still see numerous opportunities for improvement in Vancouver environmental strategy. Under its current mayor, Gregor Robertson, Vancouver has set itself the ambitious goal of becoming the greenest city in the world by 2020. Although the city has improved its environmental governance by hiring a monitoring and reporting planner, it still has improvements to make in water conservation and waste management. 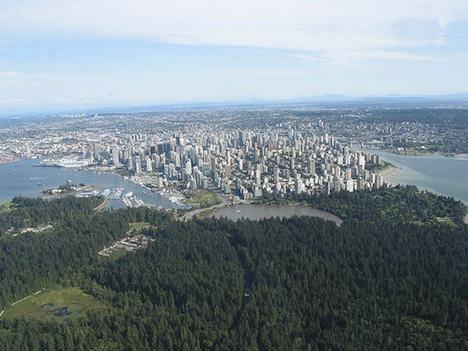 Although a global comparison of cities remains elusive due to differences in methodology, Reimer claims that Vancouver is perhaps in the top 10 -15 of the greenest cities in the world. I guess we’ll just have to wait and see whether Vancouver accomplishes its goals. But even if it falls short of becoming the greenest city in the world by 2020, it will still be setting itself up as a central hub for the green economy.